Himalaya Under Eye Cream - Is it a Good Buy? 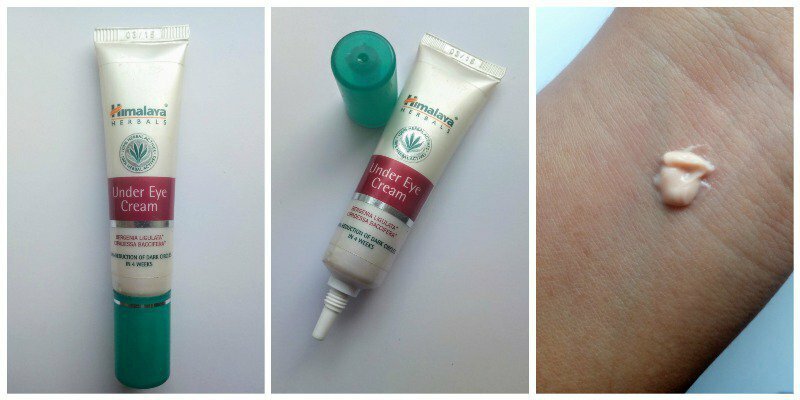 Home ReviewsBeauty Himalaya Under Eye Cream – Is it a Good Buy? Himalaya Under Eye Cream – Is it a Good Buy? Who is it for? The Himalaya Under Eye Cream is for the people who have dark circles and want to protect the sensitive area around their eyes. The under-eye cream by Himalaya comes in a tube made up of plastic, it has a pointed nozzle that ensures only pea size amount of product is squeezed out. It is a really small tube which is quite handy and easy to carry around. The tip of the tube (nozzle) is thin enough to use it around your eyes directly. All the important information related to the product is printed on the tube, along with the date of manufacturing and date of expiry. The under-eye cream, as the name suggests is a cream which is peach in color. It is very soft and light just like whipped cream and immediately gets absorbed after massaging it around your eyes. It doesn’t have a pungent smell but still smells a little herbal. It doesn’t irritate a person’s senses though. I enjoyed using this under-eye cream. In fact, to be honest, this was my first ever under-eye cream that I bought for myself. It definitely nourishes the area around the eye and hydrates it well, but I haven’t observed much of a difference. It takes time and only after regular application of this product that you will observe a visible difference. Even the brand claims to have a 50% reduction of dark circles in 4 weeks. But it does take more time. It might even help in reducing the signs of wrinkles near the eyes. This product is very gentle and doesn’t irritate the eyes at all; it also gets absorbed very easily. I find this product to be good, but you surely need a long-term commitment to this product. I might repurchase and you people can buy this product provided you do not have an extreme case of dark circles. It is good if you have a slight case of dark circles and some minute puffiness because it takes a lot of time to show any visible results. I still feel that you can skip this product and go for a better product available in the Indian market. Aroma Magic Under Eye Cream: Is it Worth it? O3+ Eye Circle Cream – Worth Buying? Banjara’s Multani Mitti + Sandal Face Pack – Excellent Buy?